Chatbots are a time-saving resource for internal employees whose energy is better spent on meaningful work and productivity. Internal chatbots have the potential to boost accessibility, efficiency, and employee satisfaction in your workplace. Chatbots are easy to use, setup, and deploy. Chatbots, conversational agents, virtual assistants — whatever you choose to call them, automated conversation is more relevant than ever. The growing presence of chatbots on customer-facing websites has resulted in quick and automatic answers to most online inquiries. However, it’s crucial not to overlook the value of chatbots for internal use by employees. To maximize your support performance, it is essential to employ the right tools. When it comes to matching customer queries to the right answers, our natural language processing engine powers the Inbenta Chatbot to achieve 90% efficiency, responding to customer inquiries within milliseconds of hitting the enter key. As a customer-facing tool, chatbots can be highly effective in reducing support costs, increasing customer satisfaction, and boosting the number of successful digital transactions. On the flip-side, can the same artificial intelligence application be used by internal users to advance their company’s goals? Absolutely. In fact, there are many use cases for AI-powered chatbots, with each variant application striving towards one common goal: to improve the experience and efficiency of the user. In other words, to help save time and energy that can be better allocated elsewhere. 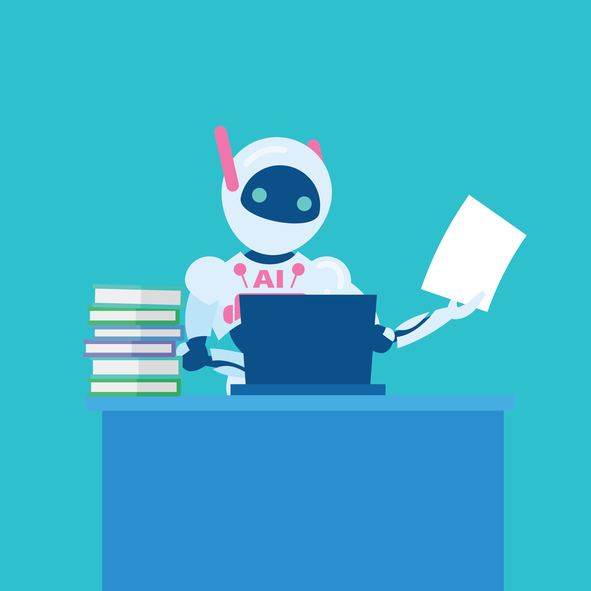 Here are 5 great use cases that show how AI can be your employee’s best friend. 1. Chatbots streamlining HR support. But in this case, information is not always as available as the user would like on her intranet, and when it is, the content they find can be dense and indigestible — solutions can differ from one post to another, the tools may be different from one service to another, and so on. The escalated situation now forces a second employee in HR to waste his precious time. To avoid this counterproductive scenario, internal chatbots can provide immediate answers to the vast majority of intentions expressed by employees. Thanks to our advancements in natural language processing, the user can instantly discover the solution that best fits her intent. Layered with dialog flows that outline potential conversational paths, it’s possible for the chatbot to provide personalized, accurate answers to the employee in a matter of seconds. 2. Chatbots facilitating employee on-boarding. If you’re a manager, you know that the word “on-boarding” entails an onslaught of tedious, time-consuming administrative obstacles: HR forms, data entry, tool distribution, and multiple interfaces in which the manager is obligated to enter the same information over and over again — first name, last name, department, etc. In most cases, this is not the most efficient way to log a new employee. Here, chatbots come into play with their ability to control different tools. While you save time by delegating these processes to a bot, sparing yourself the frustration in doing so might be the better point to end with for this particular use case. through a single, user-friendly and accessible interface. By programming the chatbot to register and onboard the new employee by itself using APIs, the manager only has to provide the necessary information to the bot through a simple conversation. 3. Chatbots helping with day-to-day tasks. There are so many tasks that most employees have to do themselves that are low in complexity but extremely time-consuming in aggregate. For example, scheduling meetings across multiple employee calendars, booking meeting rooms, submitting hours, requesting time off, and so on. The collective breaks one takes from work to get organized lays a significant impact on concentration and productivity. However, this is precisely the use case that a bot with natural language processing capability can handle. Here, chatbots can be used to allow employees to significantly reduce the processing time of these tasks by doing it for them. As a result, the affected employee never has to leave their desk or spend time navigating calendars or HR platforms, temporarily removing them from meaningful work. 4. Chatbots providing the source of truth: from taxes to GDPR. Chatbots also come in handy during product development, administrative changes, transitory periods, and any updates pertaining to your employees or workspace. You may have recently adjusted your workflows and policies to adapt to the GDPR (General Data Protection Regulation). As of May 25, 2018, companies that handle (or enable other companies to handle) the data of EU residents are obliged to comply. Naturally, this leads to new internal processes, forms, confusion, questions, and a shortage of timely, useful answers. This is just one example of a big change — just like taxes and administrative, fiscal, and legal changes affecting your your business — that creates obstacles for your employees, and may concern sensitive, critical information regarding their rights, obligations, salaries, and dues. These periods often reflect peaks in HR activity. However, spooling up an influx of new hires in an attempt to create more support bandwidth is not a smart or feasible response. By choosing a chatbot to leverage various knowledge bases, it’s easy to set up an editorial team to prepare content in anticipation of such events. How could it get simpler than that? 5. Chatbots empowering physical robots. Finally, the retro-futuristic vision of robots capable of meaningful human interaction has evolved from science fiction to real-world possibility. Humanoid robots are on the trajectory to become more than a gimmick, and will eventually be used to simplify not only customer interactions, but the workflows of your employees. Seating a patron at a restaurant, guiding a visitor to a meeting room, connecting two employees, giving a group tour — there are endless opportunities in which a chatbot may be embedded into a physical robot to allow employees to thrive in the workplace. Most importantly, the robot-chatbot hybrid amplifies a workplace’s accessibility by increasing the means of interaction with differently-abled individuals. A robot capable of multiple modes of communication would be able to adapt and accommodate to the interacting person’s preferences, strengthening the user’s identification with her surroundings, and helping her understand the workplace as best as possible. These are only five use cases in a world where the application of chatbots are numerous and constantly expanding. The sooner we leverage this evolving technology, the faster we can deliver better results to customers and employees alike while staying on top of current developments that could continue to accelerate business growth in the future.